Westin Hotels & Resorts announced the launch of Project Rise: ThreadForward, an unprecedented sustainability program that collects, processes and reweaves hotel bed linens transforming them into thousands of pairs of children’s pajamas. The first-of-its-kind pajamas will be distributed to children in need, whose circumstances can contribute to shortened and more fragmented sleep. Beginning April 16th, Westin will give the gift of better sleep beyond the brand’s hotels, in cities around the world: from New York and Toronto, to Mexico City and Cape Town, and will encourage guests to support by purchasing a pair of pajamas on www.westinstore.com to benefit the program. Committed to helping guests get a good night’s sleep since the game-changing debut of the Heavenly Bed®almost 20 years ago, Westin saw an opportunity to not only create an innovative industry-first upcycling program, but also empower sleep in an entirely new way. "Upcycling sheets into children's pajamas has never been done before,” said Shawn Seipler, Founder and CEO, Clean the World. “As our partnership with Westin has grown over the past eight years through the bath & soap amenity program, we were excited when Westin came to us to help bring this vision to life. Westin’s Project Rise: ThreadForward program is a phenomenal effort to continue to improve children's health and create a more sustainable future." Designed in Westin’s signature color palette, zest, mint and flax (grey), the pajamas feature a whimsical illustration of a child rising over a moon with a book – a nod to a better sleep empowering a better day - and will be created in sizes 2-8. With Delivering Good and their network of community partners, Westin and Clean the World will begin donating the first 1500 pajamas next month to children in need, who are most prone to suffer sleep anxieties, in markets around the world. With its powerful penchant to give back, Westin continues to grow and evolve its programs and partnerships, addressing how wellness is integrated into consumers’ lives through the brand’s Six Pillars of Well-Being: Sleep Well, Eat Well, Move Well, Feel Well, Work Well, and Play Well. 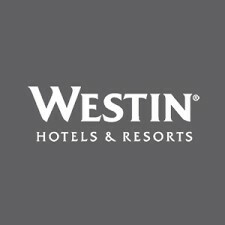 For more information about the Westin brand’s campaign: Let’s Rise, its commitment to sleep or to learn more about Project Rise: ThreadForward, please visit: www.Westin.com.